This book is suitable for a law school class on patent prosecution, which is advocacy in the United States Patent and Trademark Office. This book is suitable for a law school class on patent prosecution, which is advocacy in the United States Patent and Trademark Office. Books on patent law are not helpful to a lawyer developing an argument for patentability, because they often apply patent office standards that are different from those in court. 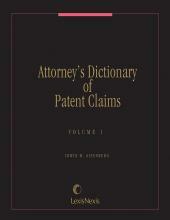 This book includes edited cases and problems with answers to illustrate the topics, and a single case study consistent throughout the book includes an invention story, developing a theory of patentability, preparing a patent application, surprises in the patent office, and a response to a patent examiner's rejection. Gentry Gallery, Inc. v. The Berkline Corp.
Chiuminatta Concrete v. Cardinal Indus. Preliminary Examination Instructions in view of the Supreme Court Decision in Alice Corporation Pty. Ltd. v. CLS Bank International, et al. Norian Corp. v. Stryker Corp.
Adams Respiratory Therapeutics v. Perrigo Co.
Astrazeneca LP v. Apotex, Inc.
Ricoh Company Ltd. v. Quanta Computer Inc.
Primos, Inc. v. Hunter's Specialties, Inc.
Freedman Seating Co. v. American Seating Co.
Ariad Pharmaceuticals, Inc. v. Eli Lilly and Co.
5. 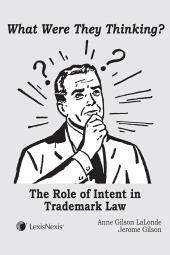 Written Description Cases: A Higher Standard for Biotech Inventions? Johnson & Johnston Assocs. Inc. v. R.E. Service Co., Inc.
Scimed Life Sys., Inc. v. Advanced Cardio-Vascular Sys. Inc.
GE Lighting Solutions v. Agilight, Inc.
National Recovery Techs, Inc. v. Magnetic Separation Sys., Inc.
Teleflex, Inc. v. Ficosa N. Am. Corp.
Transocean Deepwater Drilling, Inc. v. Maersk Contractors USA, Inc.
Quad Environmental Techs. Corp. v. Union Sanitary Dist. Therasense, Inc. v Becton, Dickinson and Co.
Ferring B.V. v. Barr Labs., Inc.
Dayco Products, Inc. v. Total Containment, Inc.
McKesson Information Solutions, Inc. v. Bridge Medical, Inc.